NonProfitPlus is an accounting and enterprise resource planning (ERP) solution specifically designed for non profit organizations. Built on the Acumatica framework, NonProfitPlus is tailored to non profits with features including fund accounting, grant management, donor tracking, encumbrance accounting, reporting, and more. The cloud-based platform is made up of a financial management suite, a procurement management suite, and a nonprofit accounting suite, all of which are fully integrated to provide a complete solution. The non-profit accounting suite within NonProfitPlus is designed specifically to aid non profits in managing their business finances and accounts, and offers a range of tools to control funds, grants, encumbrance, donors, budgets, boards, volunteers, and more. In order to track funds and revenue in real time, NonProfitPlus logs all incoming and outgoing funds, with “Due to” and “Due from” entries automatically created within the system. Grants and donations can be managed, tracked, and reported on with tools for grant and donor account management, data entry, and a grant budgeting feature. NonProfitPlus facilitates budget creation and provides a budget checker tool to give users insight into the ramifications of their actions before they are carried out. Users can set up approval workflows so that any transactions that are over budget need to first be approved by the relevant team members. Board members can also be granted access to the NonProfitPlus system in order to view budget data, restricted funds, reports, accounts, and more, and permissions can be managed to restrict which data each user has access to. From the NonProfitPlus financial management suite, users can manage general ledgers, accounts receivable, accounts payable, cash flow, recurring revenue, fixed assets, and time and expenses. Whilst the procurement management suite allows businesses to gain real-time access to inventory, requisitions, purchase orders, and sales orders. Many legacy products are not set up for nonprofit best practices. 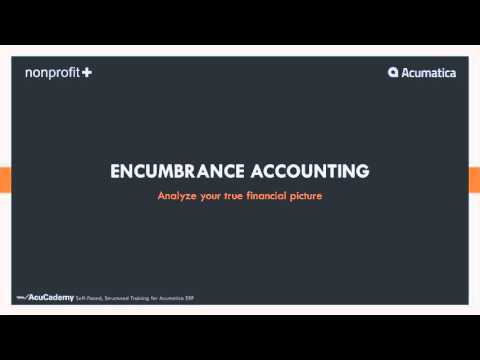 This fund accounting system is very strong, as well as the grant management module. I would recommend that you vet your implementation partner who helps you install this product. If you buy the right tool but don't know how to use it or set it up, you will not be successful. I'm not very tech savvy so I needed much support getting things up and running. I spoke with Bill and he held my hand helping me understand how to get around the modules. I recommend NonProfitPlus. David The 180 Center, New Haven Ct. Attended a training session for NonProfit Plus and was blown away by the capability. If you are a true nonprofit this software will give you everything you need to manage funds, grants, programs, encumbrances, etc. The team at NonProfitPlus thoroughly designed the product to fit into the nonprofit mold and gives management the tools to succeed in reporting and compliance. The integration w/Acumatica is seamless. Bill and his team are very knowledgeable and very accommodating. This is not a con but rather a tip to not underestimate the power of the product and when implementing and address the setup of NonprofitPlus first and foremost before the GL since those decisions will ultimately impact the setup of the GL. NonProfitPlus pricing is NOT based on user count. Contact NonProfitPlus for more information on pricing. Manage and track fund accounting and revenue within NonProfitPlus and ensure that organization funds are being used according to their pre-defined guidelines. Generate reports on funds to present to boards and trustees for full transparency. Track and report on grants and donations with tools for managing daily tasks relating to grants, managing grant budgets, tracking expenses, recording donations, logging activities, and generating reports on both grants and donations. Setup volunteers within the NonProfitPlus system and provide them with their own personal login so that they can track time and submit receipts relating to their volunteer work. Volunteers are provided with restricted access to ensure they can’t view sensitive data. Automatically create advanced audit trails in order to ensure that the year end close runs smoothly. All activity is logged with information on times, dates, transactions, accounts, and who completed the action. Create defined and board approved budgets for the company with NonProfitPlus’ budget management tools. Warnings can be triggered when an action will go over budget, or users can be restricted completely from making transactions outside of the budget. Below are some frequently asked questions for NonProfitPlus. Q. What type of pricing plans does NonProfitPlus offer? Q. Who are the typical users of NonProfitPlus? Q. What languages does NonProfitPlus support? Q. Does NonProfitPlus support mobile devices? Q. Does NonProfitPlus offer an API? No, NonProfitPlus does not have an API available. Q. What other apps does NonProfitPlus integrate with? Q. What level of support does NonProfitPlus offer?